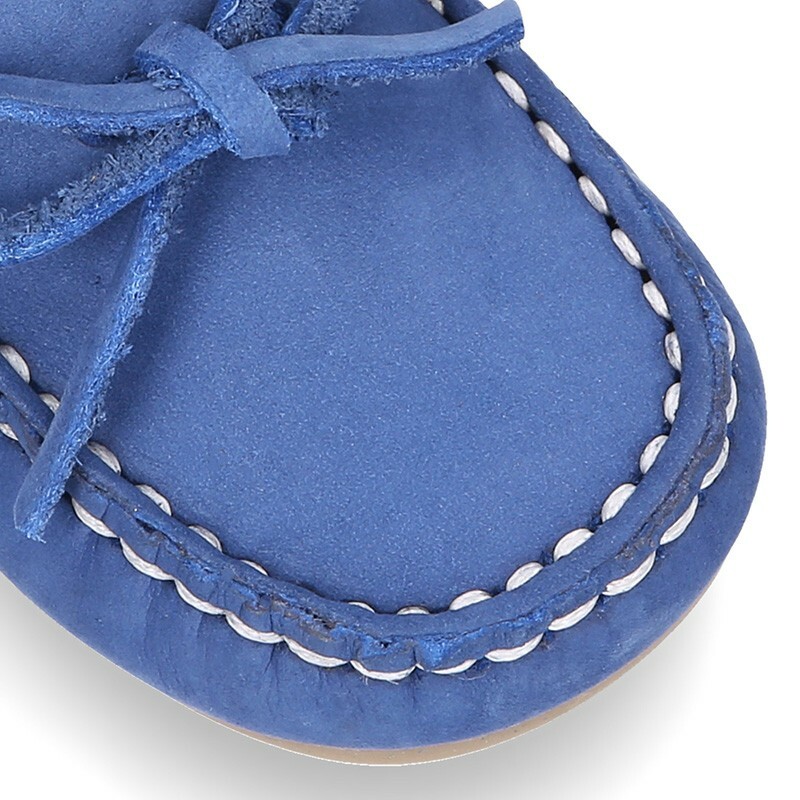 Tienda de Náuticos y Mocasines en piel nobuck con Lazos para niños pequeños. 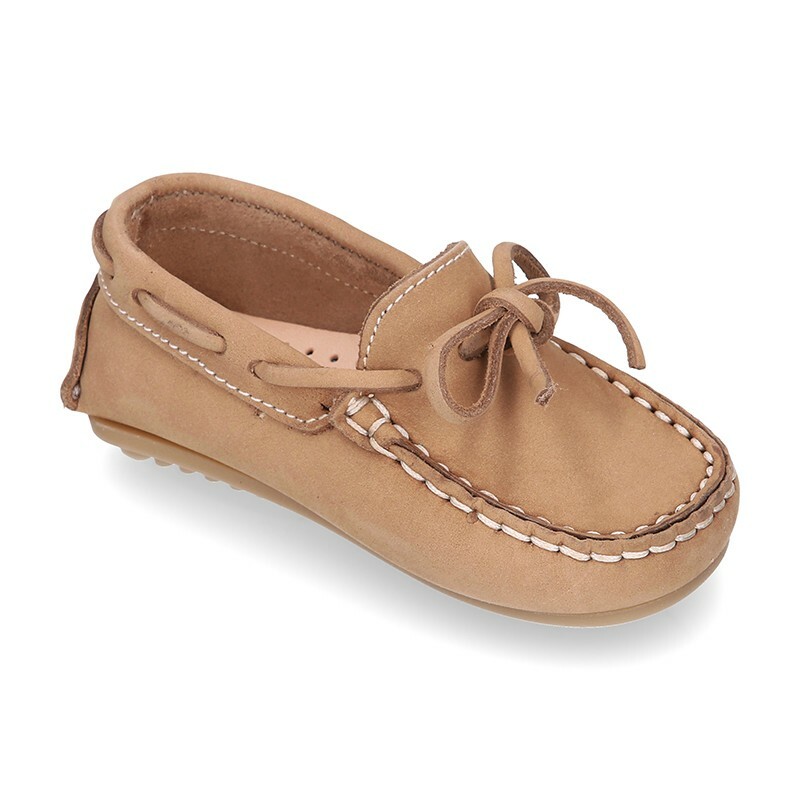 > First Steps>Moccasins>Nobuck leather Moccasin shoes with bows for little kids. 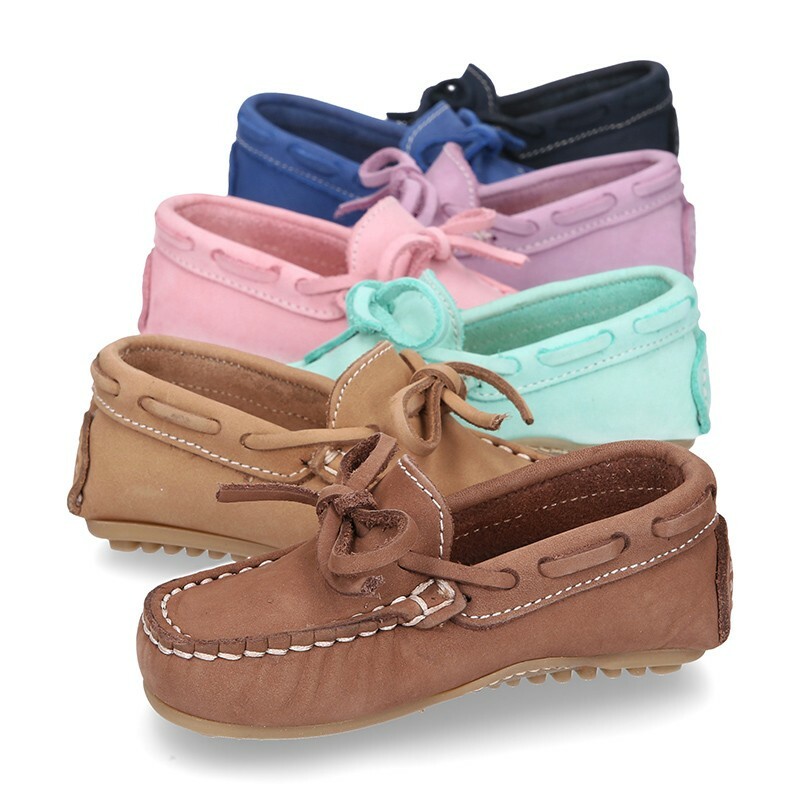 Nobuck leather Moccasin shoes with bows for little kids. 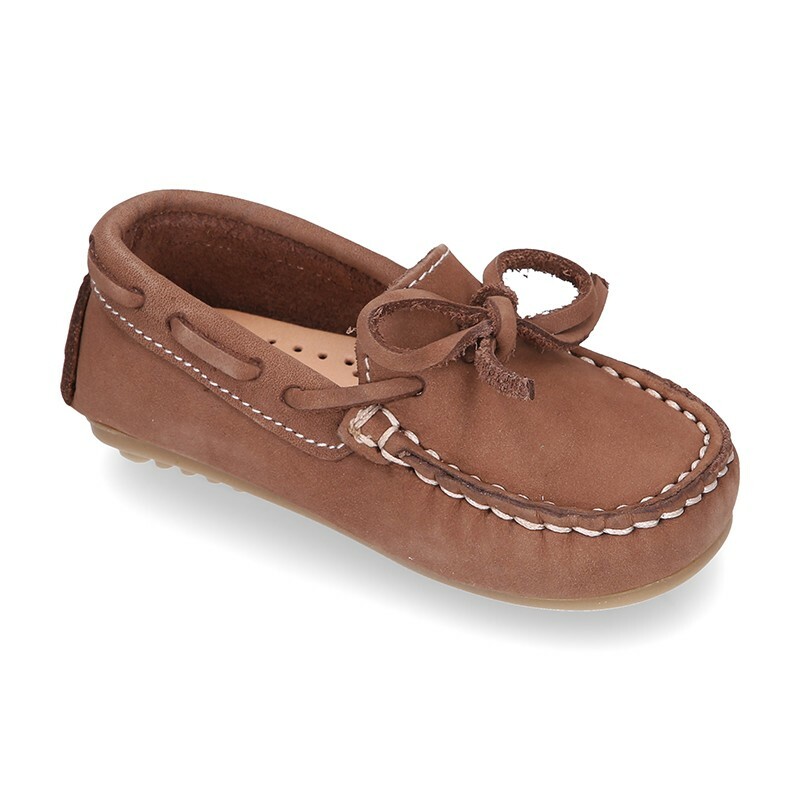 Nobuck leather Moccasin shoes with bows and driver type outsole for little kids. SIZING LARGE. 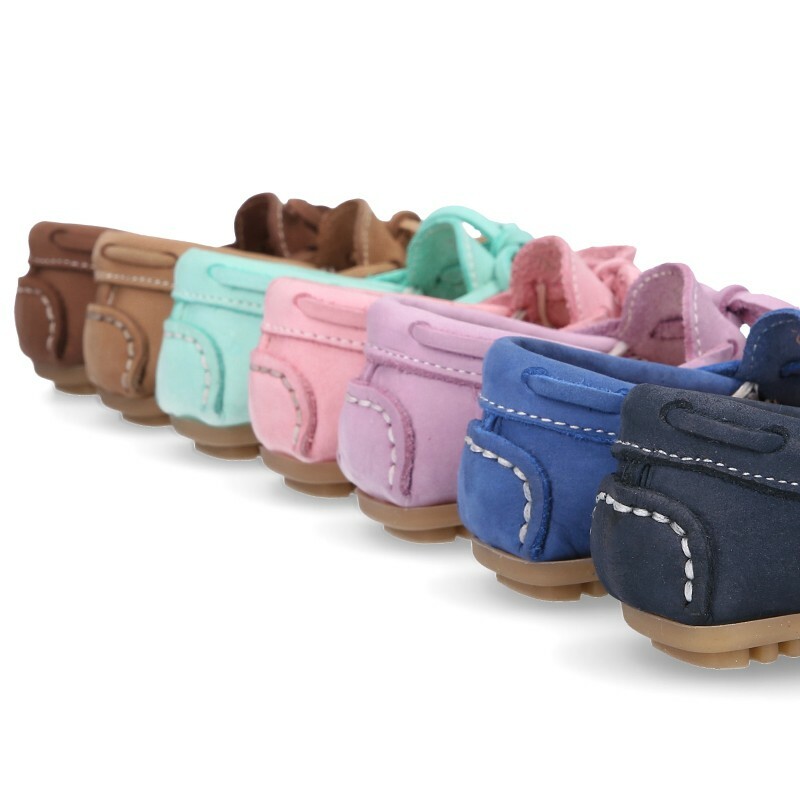 More info about Nobuck leather Moccasin shoes with bows for little kids. 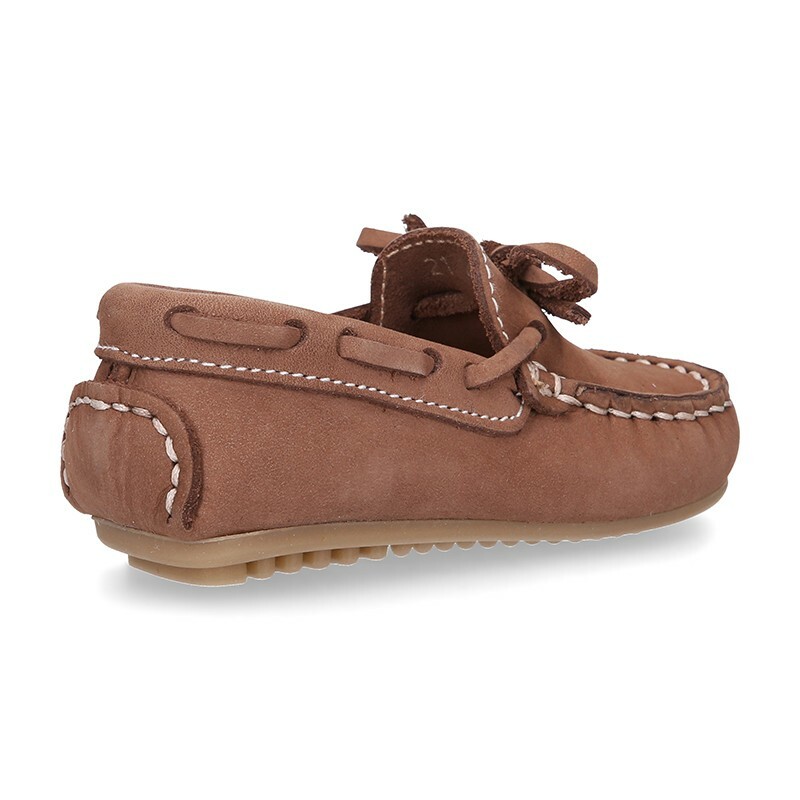 Nobuck leather Moccasin shoes with bows for little kids. 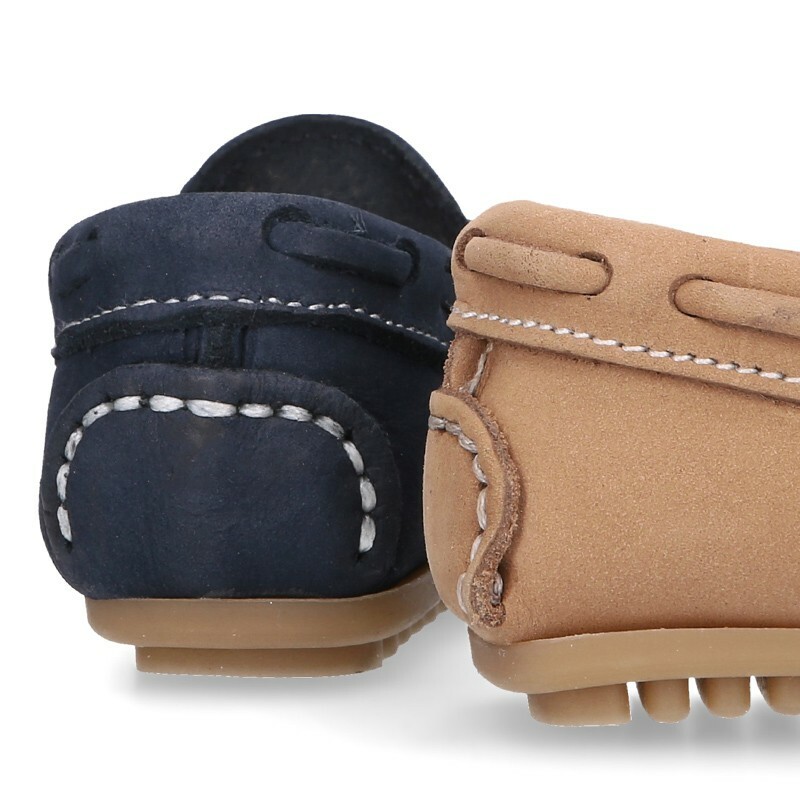 Made up of 100% high quality natural Nobuck leather. 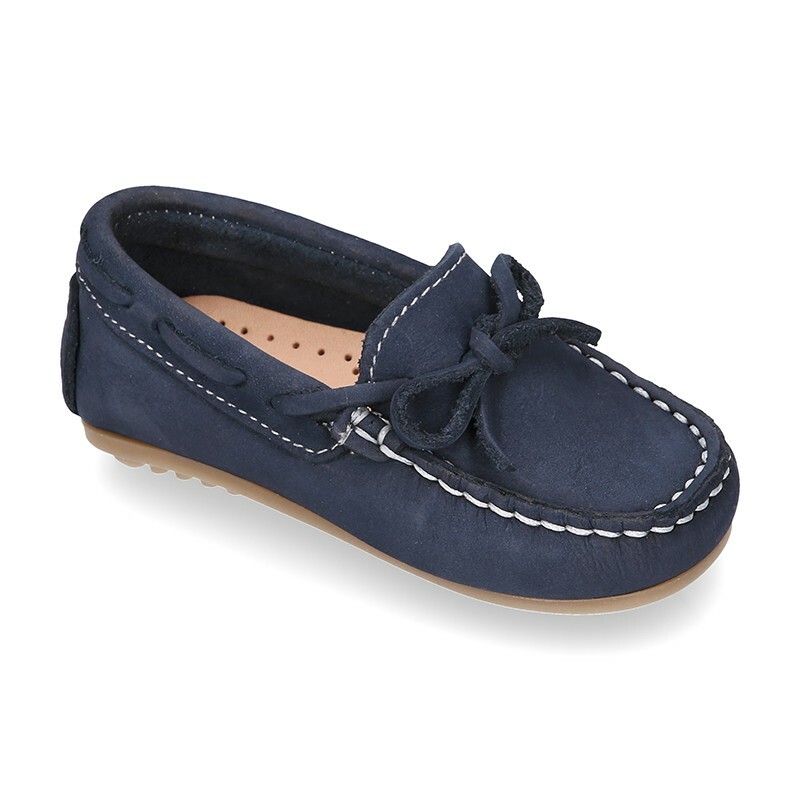 Perfect for casual or smart dress. Mix and match with all their garments this spring-summer. 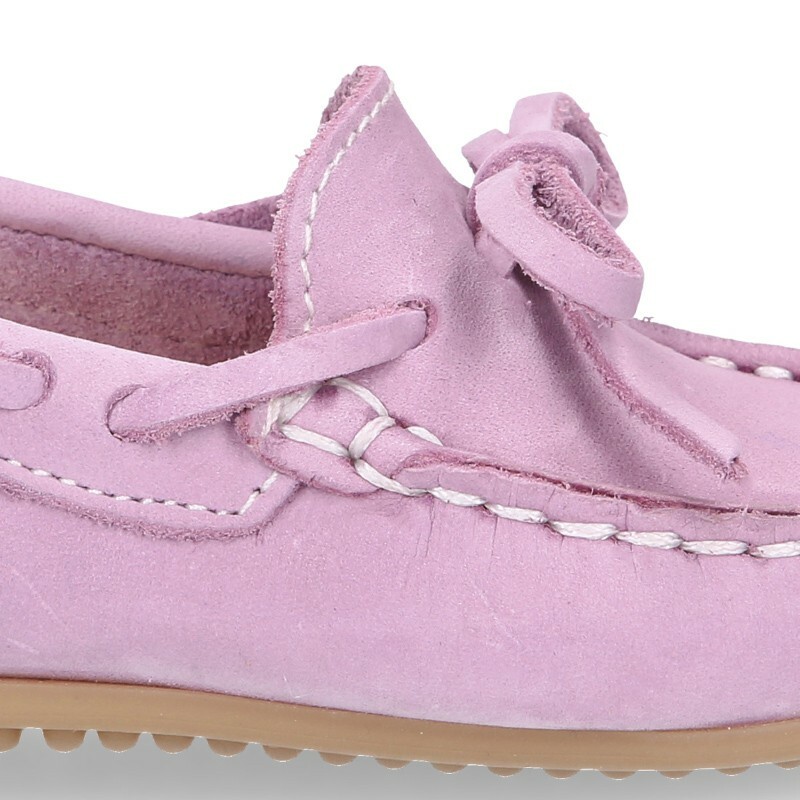 Very comfortable, elegant and made up in very combinable and seasonal colors. Fully lined in leather. Perforated and padded leather insole as well for a good perspiration of their feet. 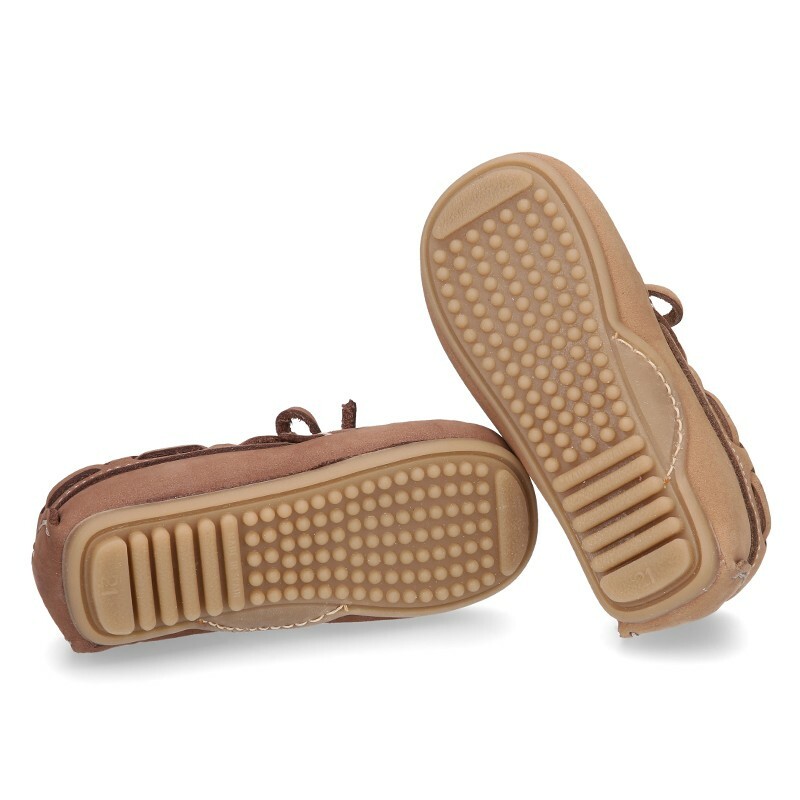 Driver type Outsole made up of non-slip high quality rubber and totally flexible in order they can learn to walk without problems. Available in 7 colors. Range of size, from 21 Euro size up to 24 Euro size. 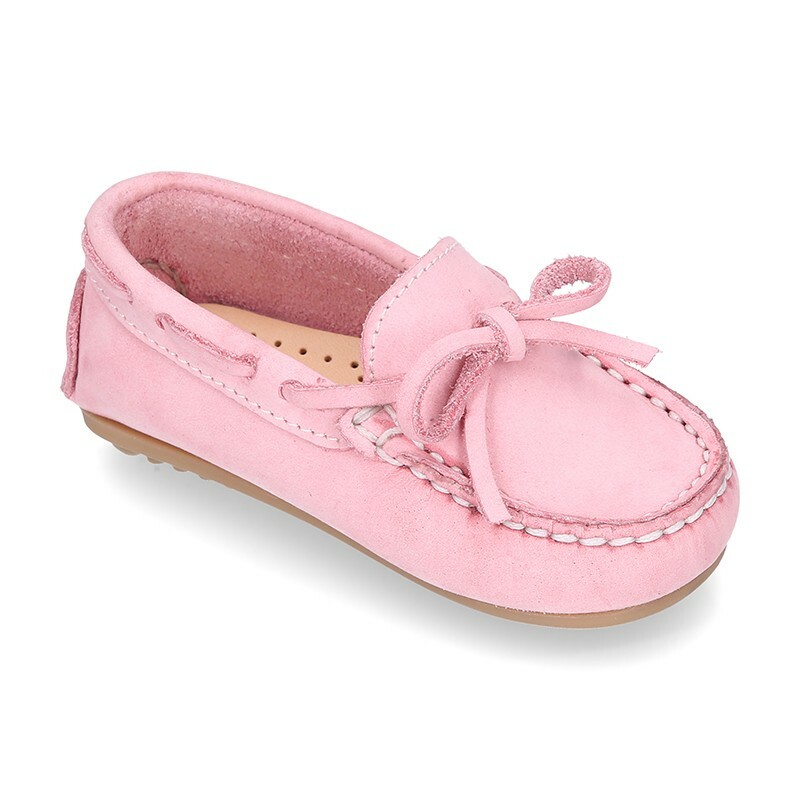 For bigger sizes, (25-44), available in toddler girls, toddler boys, mums and dads sections. 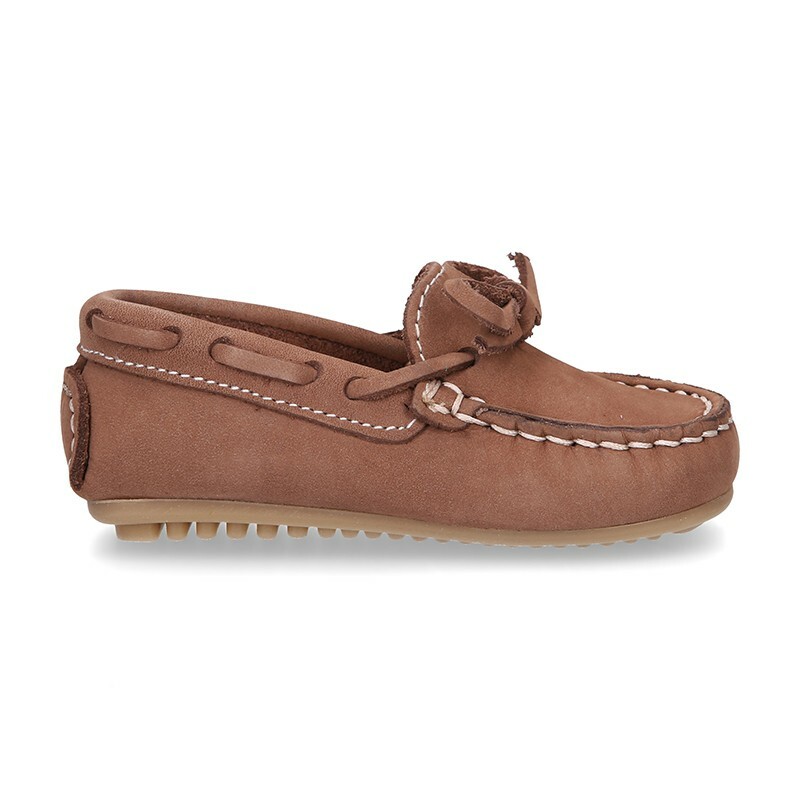 Data sheet about Nobuck leather Moccasin shoes with bows for little kids. 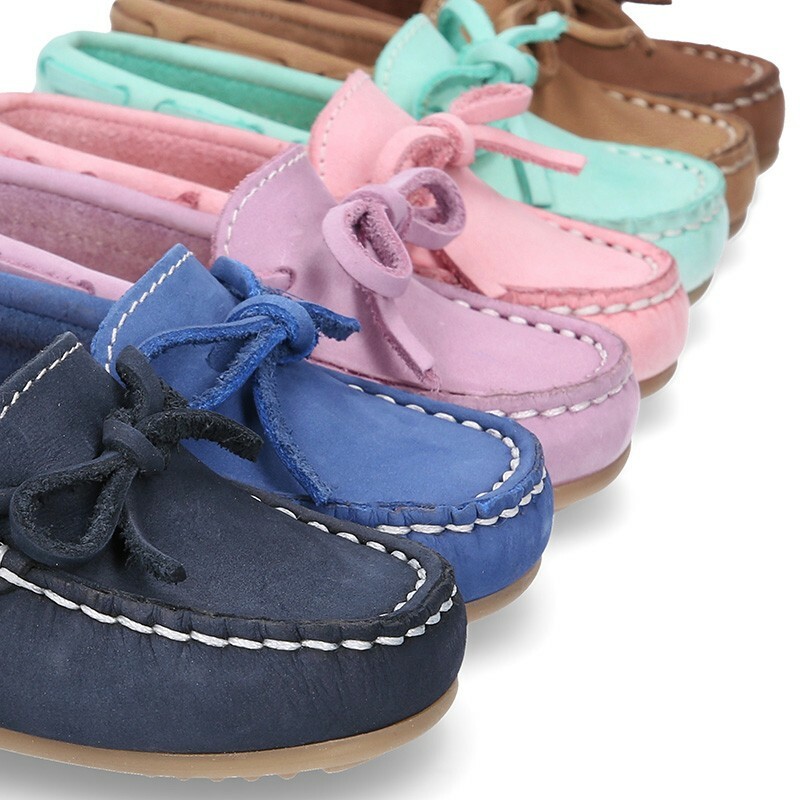 Medidas sobre Nobuck leather Moccasin shoes with bows for little kids.